The market for investment management is subject to constant disruption, and as the most recent wave of competitive, economic and regulatory change washes over the sector, only the most resilient providers will survive. The ferocity of this upheaval means many in the sector have had little time to acclimatise, and only now the dust has started to settle on the past year can we see which names have emerged all the better for it. As much as stagnant growth and the low interest rate environment have stifled investors, more important to investment managers is the impact of technology, the shift in global wealth, and the role of risk management in writing investment strategies. Increasingly, clients are placing more of an emphasis on security, and managers have responded by looking more to the long term. Falling oil prices, a US interest rate rise and continued monetary loosening in Europe have all given investors good reason to be concerned, yet these factors equate to very little when put alongside the paradigm shift that is taking hold in the investment management sector. Volatility over the past year has spiked across a number of key asset classes. Oil prices in particular have plunged, and so too have the economies that depend on them. Emerging market currencies have largely fallen against the dollar and a commodity oversupply together with weak demand is again keeping a lid on prices. All this in a low-growth, low-inflation context has made risky assets appear all the more attractive. However, managers must take care to balance these risks accordingly. While it’s safe to say the likelihood of these risks actually occurring is relatively low, a recent spate of volatility has given managers and clients good reason to take precautions. This isn’t necessarily to say there is any one answer to the situation gripping the investment management sector, as there is room for firms of all shapes and sizes to succeed: big or small, diverse or niche, the level of disruption in recent times has given rise to a new multifaceted marketplace where there is room for all manner of strategies. This expanded scope for doing business means many things, chief among them that the industry stands on the precipice of game-changing transformations. With a predicted compound annual growth rate of near six percent between now and 2020, global investable assets in the asset management industry are set to exceed $110trn, according to PwC, meaning investment managers can ill afford to take an eye off any one of the latest industry developments. The sheer number and complexity of the challenges at hand mean that few – if any – in the investment management industry can truly understand what’s at stake, never mind what it takes to succeed in today’s climate. There is a general understanding, however, that the industry is ripe for disruption, and only those willing to embrace the latest developments will emerge the other side all the better for it. It should be said that the outlook for investment management is mixed, both in terms of performance and in terms of market developments – though judging by the winners of this year’s Investment Management Awards, many investors might well feel bullish about what the future holds. 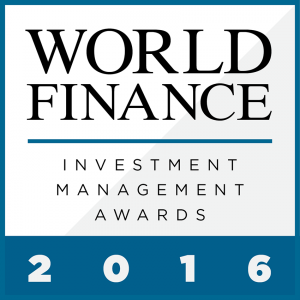 The World Finance Investment Management Awards offer an insight not only into what it takes to succeed in today’s market, but into the ways in which the industry is likely to change in the coming years. By looking at a wide cross-section of performance indicators, the judging panel at World Finance, together with our readers, have picked out the brightest names in the business.